Polite, professional assistance in renting the box. this location had a VERY small office. The person was very helpful and pleasant. The accessible hours to the unit from 5am-9pm daily are great. I feel like my items in storage are secure since you need access code to enter the gates. I was shown my unit a day early and set up with paperwork and everything by William, who was super friendly and helpful. I also like that they have system for auto pay which can be set up online. I would highly recommend! I don’t think you can make it any easier then it was for handling our rental experience! Thank you! The facility is great, convenient and clean! Preston was accommodating and efficient! In my desperate time of needing a climate controlled storage this was my savior! I was able to move right in. The space was clean and the customer service was excellent. The pricing competitive. There was a billing misunderstanding on my part, but no worries, Mr. Fenty took care of it. I recommend this facilty to anyone who needs a storage unit. Didn't have a 10x20 but they found a10x25 that work out just fine. I have had property stored with Armor Self Storage for around 8 years as I no longer live in the DFW area. Excellent service, nice property. I know that my property is well cared-for. This place is awesome and Natalie was very helpful. Great place, great people! Thank you for your excellent review. If we can be of further assistance, please let us know. Thank you for your kind comments. 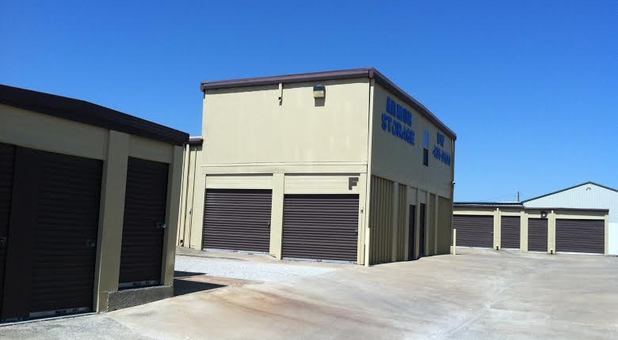 We appreciate you renting at Armor Self Storage! Preston was great, he was friendly and knowledgeable. Excellent service and very reasonable price. William was excellent! Live right down the street. quick and easy. Awesome service even when I showed up at closing time. Great customer service, nice, took good care of us.